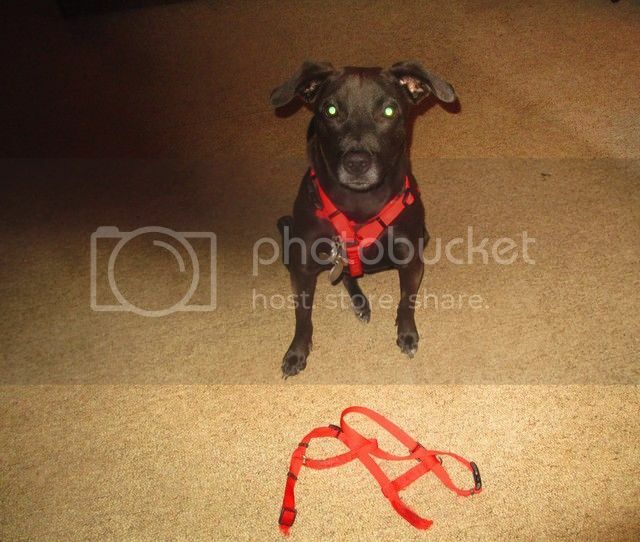 Timi chewed up his SIXTH harness in under a year this evening!!! But Mom, I just had to do it!!! He's a dog! It's his job! HELLO EVERYONE!!!! I'M BACK!!!!!!! Welcome Back!!! You have been missed! Welcome back We've missed you. Loki vs. 6 smartwool socks, 5 chair cushions, two dog beds, and expensive orthopedic pillow. Loki wins.